How do you design the digital presence of a lesser known Warrior? 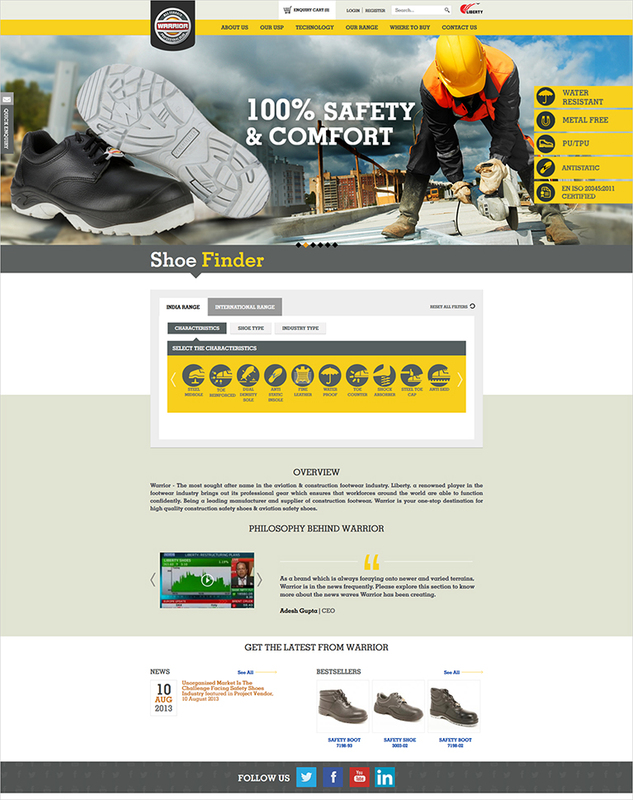 Warrior manufactures safety shoes for industry workers belonging to a wide range of industries finding application across segments ranging from the construction industry to the oil sector including special footwear for healthcare workers. While this project was very appealing to us, the fact that in spite of its success in the specified sector, Warrior was not a well known brand and was seldom associated with the phenomenal identity of Liberty, made this project extremely challenging. A brand as mighty as Warrior needed a completely power driven digital presence in order to do justice to its image. 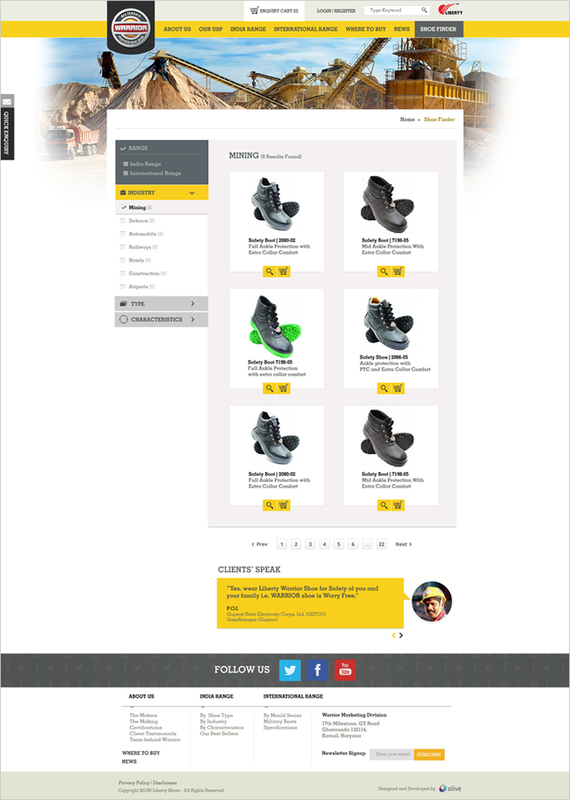 We decided to blend the image of Warrior with its parent brand and bind the two in a complementary digital presence. 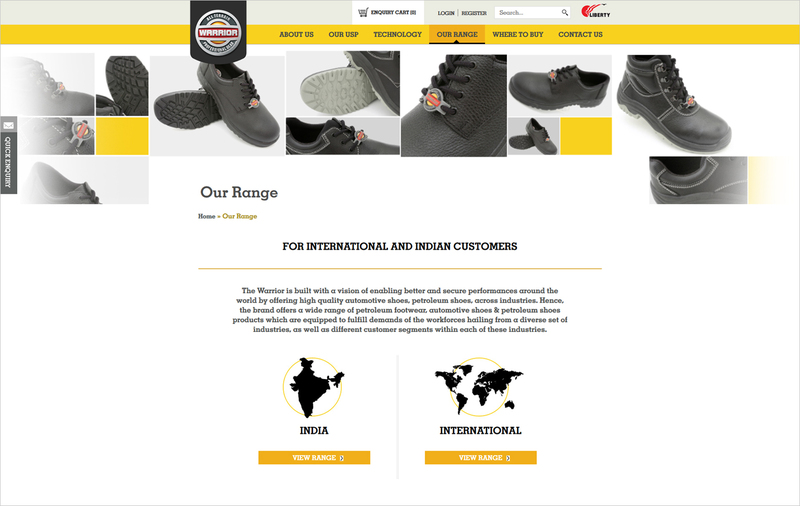 We had decided to reinvigorate every aspect of its digital presence from its website to its SEO campaigns. Apart from giving a complete revamp to the website, we designed 7 microsites for the brand catering to different countries, namely Tanzania, Ghana, Uganda, Nigeria, Kenya, UAE and India, so as to provide customized content according to the customers and target segment in respective countries. 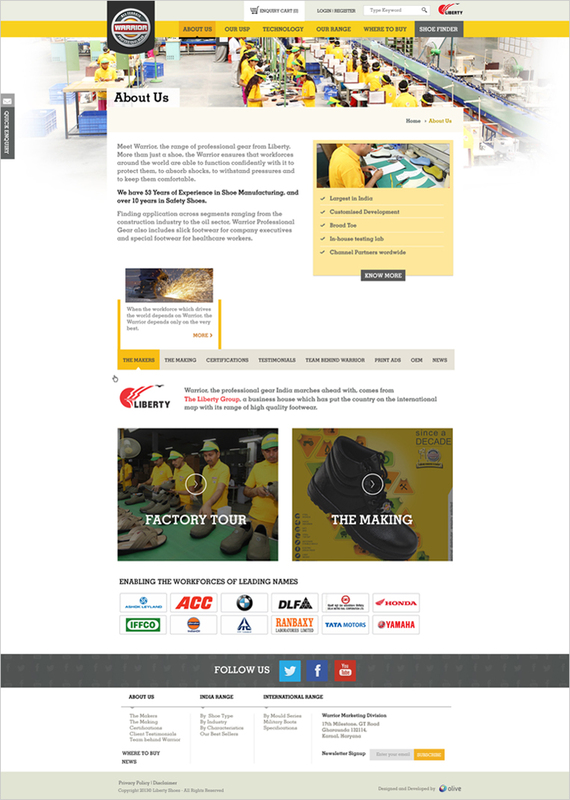 We used a Drupal based content management system. We designed the backend so seamlessly that it was easy even for the client to answer customer queries and update content themselves. Under SEO, we customized 70 keywords for them. We started the project in January 2014 and today, the total visits to the website have increased by whopping 1644.16%. A business listing is a kind of business description mentioning about products & services being offered. This is a short but descriptive information which is typically placed in business directories to gain visibility. We proposed premium listing across all classified and B2B portals such as IndiaMart and Alibaba. These premium listings helped the brand rank well in Google search engine which ultimately led to increased traffic and sales. Performance goes a long way in growing relationships. The CEO of the company was so glad with the new found digital presence and the favorable consequences that he proposed to extend the company’s association with us and we were asked to design their SMO campaigns across Facebook, LinkedIn, YouTube and Twitter as well.